If you’ve ever sought treatment for skin problems, you’ve likely been offered a steroid cream or ointment to help with discomfort but were given little actual help in curing the fundamental problem. Don’t you wish sometimes you could discipline your skin or give it a bad performance review, and have it shape up, regain elasticity and be blemish free? Me too! When I was younger, I was told my skin problems were just normal acne and that it would all clear up as I got older. I took comfort in that, because nothing the doctor gave me or that I found at the pharmacy ever seemed to do anything except make my skin crusty. Then instead of just having blemished skin, I had crusty, peeling, blemished skin. Ugh. Well, I’m almost 40, and it is the rare day that I don’t have several spots on my face, some of them significant enough that high school tormentors would have termed them “headlights” or “third eye”. As motivated as I was to find something to help my own skin, that was nothing compared to when our sweet Elliot was born and struggled with skin and stomach issues from the very beginning. My little baby eventually developed extreme eczema, to the point that his feet would crack and bleed when he walked. At times, he screamed for hours on end because of the discomfort. A doctor “assured” us this was “hopefully” just a childhood problem he would grow out of, but left open the dismal prospect that it could be a lifelong condition. As instructed, we smothered the affected areas with an assortment of creams, all of which included petroleum or steroids, and none of which did a bit of good. Our child’s pain broke our hearts. For almost a year, my husband and I took turns sleeping on an air mattress by Elliot’s bed so we could press on his breakouts to help relieve the pain and “itchies” when he woke up in the night. I became relentless in researching to find what we could do to get him lasting relief and healing. Studies show that many skin disorders are related primarily to the gut, based in food allergies or intolerances and/or poor digestion and bowel health. This is especially true for those whose bodies have significant yeast overgrowth. Common trigger foods for skin disruptions include corn, soy, dairy, and gluten. Elliot took daily servings of coconut oil, and once he could swallow the necessary softgels, we gave him Yeast Assassin Lite as a gentle yeast cleanse. Finally, we started him on cod liver oil every day. At that point, not only did his symptoms disappear, but his skin became softer and less prone to itching. The liver is one of the primary organs in the body responsible for detoxification. The liver filters and removes cholesterol, fats, hormones, drugs, caffeine, alcohol, and other toxins from the body. Due to poor diet, sickness, and stress, sometimes the liver needs healing and restoration. When the liver is taxed with high levels of hormones such as androgens or estrogens, too much alcohol or caffeine, or inflammatory byproducts from food, the overload can result in skin conditions such as acne, eczema, psoriasis and rosacea. The good news is that you can improve the health of your liver! By helping the liver detoxify and heal, you can simultaneously detoxify the entire body and clear problem skin from the inside out. Foods that can help increase liver function include beets, artichokes, garlic and onion, and all dark leafy green vegetables including kale, swiss chard, and spinach. Specific herbs such as milk thistle and dandelion can also help support liver detoxification. Silymarin is a unique flavonoid compound isolated from milk thistle; studies in the U.S. and abroad indicate that it can provide strong liver support in cases of liver compromise due to cirrhosis, hepatic diseases, and fatty buildup commonly associated with gall bladder and liver stones. Beeyoutiful’s Silymarin Liver Support is a concentrated blend of herbs, including milk thistle and dandelion, specifically designed to offer powerful liver healing, cleansing, and rebuilding properties. Use it to support your liver and help heal your skin from the inside out at the same time! Using natural treatments like these increased my peace of mind, knowing they didn’t add a toxic burden to Elliot’s already overtaxed system. When people lather up with chemically-based potions, they often pump toxins—such as fragrances, dyes, petroleum, and parabens—into an already stressed body. Here are some all natural tools that can be helpful to calm, soothe, and encourage healing for even the most difficult of skin problems. 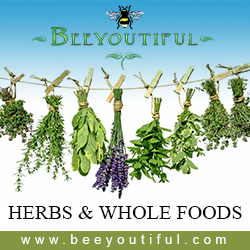 All of Beeyoutiful’s astringents are handmade with organic or wild-crafted herbs, specifically formulated to address acne and other facial problems. They also work well on bug bites and flareups of eczema. We offer three formulas corresponding to specific skin types: normal, dry, or oily. All three varieties of Blemish Bee Gone have a base of plantain, calendula, comfrey, rosemary, sage, thyme, and horsetail in alcohol and witch hazel, combined in varying proportions as appropriate to skin type. These herbs help moisturize while they promote healing of damaged skin, cell renewal, and tightening of pores. The herbs also ease itching associated with eczema and bug bites. We suggest applying in both morning and evening, but you can use them as needed for discomfort. This lovely, light facial moisturizer has such a wonderful cooling and soothing sensation that it is my go-to daily lotion. It can be especially helpful for itchy, scaly skin associated with eczema and psoriasis, and also helps calm the flushing and breakouts in skin ailments like rosacea. Aloe and coconut oil are the primary moisturizers in Laveshmint Lotion. Both offer healing properties ranging from antimicrobial effects to thoroughly nourishing the skin as it softens and hydrates. In addition, the Lavender and Peppermint essential oils are tremendous for the skin! Peppermint’s cool, tingly, refreshing aroma enlivens the skin and stimulates blood flow while it soothes aggravated areas. Lavender does double duty by decreasing skin irritation, and its healing properties help restore the supple skin that should have been there to begin with. When a simple moisturizer isn’t enough, we reach for the miracle in a jar: Miracle Skin Salve. Like Laveshmint Lotion, it contains Coconut oil and Lavender, and adds other natural healing ingredients such as plantain, comfrey, propolis, and Rosemary Essential Oil. Plantain has long been used as a natural and easy-to-find treatment for cuts, abrasions, and stings. It works well to heal and promote blood supply in affected areas. Comfrey has anti-inflammatory properties, and it supports the healing of cuts and abrasions. 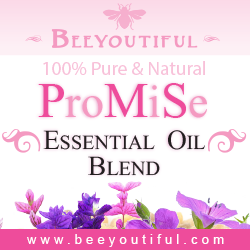 Propolis is well-known for helping skin problems ranging from acne to eczema to psoriasis. Finally, Rosemary Essential Oil has strong anti-inflammatory properties which can be especially helpful with rosacea, psoriasis, and eczema, making Miracle Skin Salve live up to its name. I discovered with Elliot that it is immensely cool to a young boy to smear himself with black soap, but he had no clue that I did not choose the soap for its fun in the tub! It actually helps bind and cleanse the impurities expelled from the skin. This can be especially helpful for those with blemishes and acne, because it serves to draw out toxins the skin is eliminating while reducing redness and swelling. In addition to the Charcoal Soap, a charcoal mask can be used weekly to diminish acne and blackheads. Here’s a simple tutorial video that shows you exactly how to use it. Mix well, then apply to face (avoid eyes!). Allow to dry as long as desired, and then rinse with water. Wash with your favorite natural soap or cleanser (we like the Milk & Honey Facial Bar). Use the herbal astringent of your choice and follow up with Laveshmint Daily Moisturizing Lotion. Dab problem areas with a small amount of Miracle Skin Salve to complete your routine. Like we learned with Elliot, the ultimate solution for skin disorders is to treat the internal causes. Reducing and soothing the external manifestations is important, too, as it can prevent complications such as infections from broken or irritated areas. The goal in our family remains complete, deep healing, and attacking the inner problems from inside and out is the best way to bring back skin-deep beauty and gut-deep health. Between managing our diets and using many of the tools I’ve shared here, these days Elliott and I both are experiencing relief from our skin troubles. It fills my heart with joy to see his soft healthy skin, and for him to experience sleeping through the night without waking up in itching misery. Do you struggle with a skin problem? Let us know if you could use some moral support as you work to discover how to encourage health and healing for your skin, from the inside out and the outside in. We’ve been there too, and we’re happy to walk alongside you on your journey. 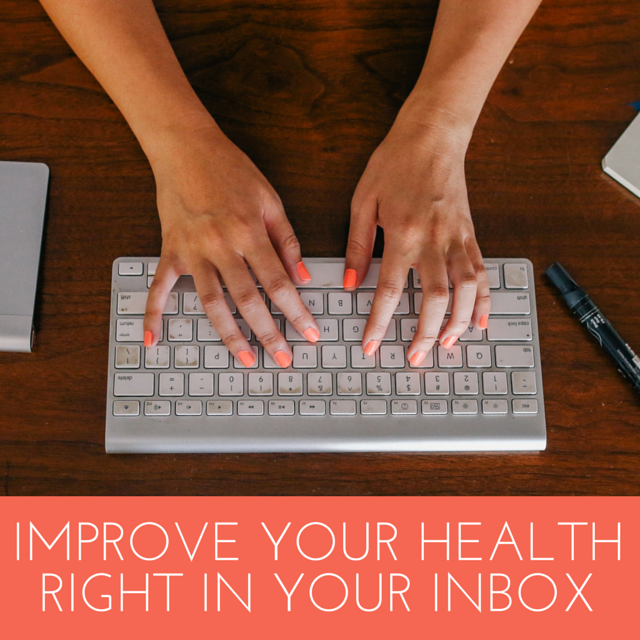 Email customercare@beeyoutiful.com or call 877-623-3968. Thanks for joining us for Pregnancy Week! Start here with Part 1. Some of this material originally appeared in a slightly different form in our Fall 2010 catalog. Ideally, you would get all your nutrients from food, but that is just not possible these days with our nutritionally-depleted soils and food supplies, busy lifestyles, and other deficiencies. That’s why the wonderful resources of Beeyoutiful are invaluable if you’re preparing for one of life’s greatest joys and hardest tasks. In addition to the multivitamin, Folate is a must. A sufficient level in both parents decreases the rate of several genetic problems, including spina bifida and Down Syndrome. SuperMom and SuperDad each offer 400 mcg of Folic Acid, but most midwives and health practitioners advise 800 mcg per day for women anticipating pregnancy so you’ll need to boost that nutrient separately. Many times during pregnancy, due to insufficient diet, increased demand, and absorption issues, iron levels can drop into a range that is dangerous for both mom and baby. If you reach delivery without enough iron, it can lead to low blood levels and the need for additional interventions as well as increased recovery times. Floradix® Iron + herbs is a safe, low dose, organic liquid iron supplement. It contains highly soluble iron gluconate as well as herbal extracts, whole food concentrates and co-factors Vitamins B and C. The addition of Vitamin B and C aids your body’s ability to absorb the iron and better utilize it once absorbed. Best of all, it is easy on the stomach and non-constipating, making it helpful for pregnant and lactating women. Cod Liver Oil is one of my newer personal favorites that I wish I’d taken it prior to all my pregnancies. Cod Liver Oil provides the EPA and DHA required for proper brain development. I suggest using Rosita Extra Virgin Cod Liver Oil along with Butter Oil because it also provides Omega 3 fatty acids and good amounts of Vitamins A, D, and K. These three crucial vitamins work together to help build strong bones, maintain the cardiovascular system, keep skin clear and healthy, balance the clotting factors in your blood, reduce the chance of diabetes, strengthen the immune system, and myriad other great benefits. Since these are fat soluble vitamins, it is also vital to take them with a meal containing a moderate amount of healthy fats for proper absorption. One of the most-dreaded parts of pregnancy is morning sickness and it often lingers as a “what if” when we are considering having a little one. While the babies are worth every second of agony, there are definitely things we can do that might help protect us or at least lessen the intensity. Take comfort: I had severe morning sickness with my first three pregnancies, to the point of needing to be medicated throughout, but by my fourth and fifth pregnancies I was managing well with several natural remedies instead. Maximizing your nutrient-dense foods and thus nourishing your system is the foundation, but often our diets need a special boost. Two nutrients in particular seem to impact morning sickness the most. We need to add B Vitamins, particularly B12 and B6, because they aid our body’s ability to absorb magnesium. Having daily intake of food rich in Vitamin B is a great place to start, but if your body has difficulty converting it to a usable form, you may also want to consider using a methylated form of both folate and B12 instead. To make sure your body can actually use the foods and supplements you’re giving it, you’ll need to do all you can to keep your digestive system working its best. Even if you are blessed with an iron-clad stomach, you’re likely to have taken antibiotics sometime in your life, or have been exposed to toxins that could wreak havoc on digestive flora. Here are two key ways to help build a strong digestive tract. Probiotics, taken daily, rebuild good intestinal flora which will pass to the baby growing inside of you. It also protects against harmful bacteria. And here’s a big plus I wish I had known during my first stomach-churning pregnancy: daily use of probiotics such as Tummy Tuneup can help decrease nausea while pregnant. Digestive enzymes are crucial because enzymes are the tools your body uses to extract nutrients from food. Most people are deficient in enzymes and unable to use well what their food offers. Without sufficient enzymes, many people experience fatigue, constipation, diarrhea, food cravings, and various stomach complaints. Eliminating these problems before pregnancy will help you feel better during pregnancy. And it will help maximize the nutrient building blocks available to help grow your child’s body. Red Raspberry Leaf is an invaluable herb for women of all ages, but specifically for pre-pregnancy. The leaves are known to increase fertility in both men and women, prevent miscarriage and hemorrhage, and decrease morning sickness. Many midwives agree that Red Raspberry Leaves are safe to take throughout your pregnancy, but some advise against use during the first trimester, so (as always!) check with your preferred health care provider before continuing any supplement during your pregnancy. The plans I’ve shared here should be started six months to a year prior to pregnancy, if at all possible. Certainly, if you are experiencing specific health concerns such as thyroid dysfunction, extreme fatigue, chronic infections or illness, etc., it would be best to get control of your health immediately, whether or not pregnancy seems to be in your future. Whether through diet modification, adding supplements, or working with a naturopath, the more you work to build your health now, the less effort will be required to restore it in the future, and you’ll reduce the chances of passing on chronic problems to your children. Whether your first or your tenth, pregnancy is one of the most exciting times in life! Every baby brings a wealth of expectations, joys, and new experiences. As you contemplate bringing a life into this world, I hope you can learn a little from my early bad choices and the subsequent better ones. The most rewarding result of my better choices has been the noticeably better health enjoyed by my third child, who is by far healthier than my older two. Join us tomorrow for Part 3 when we’ll talk about exercise and rest during pregnancy. 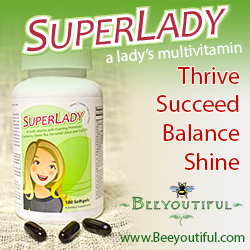 Mary Ewing has been with Beeyoutiful for six years (through three pregnancies!). She enjoys exploring life with her husband and five children as they cook, garden, play and dream of homesteading. Her interests include traditional cooking, learning about herbs and essential oils, and traditional art forms such as sewing, crocheting, knitting and smocking. Along with fun and excitement, traveling also brings a measure of stress on a body’s health and well being. It takes a toll with later nights, strange beds, hectic (yet fun!) schedules, and exposure to more people and places and thus more germs. There is nothing worse than being out of town and sick, except being out of town, sick and without your favorite supplies. It’s doubly awful if the ones who succumb are young children! Our family had a stomach bug catch us several years ago on the tail end of a long trip for my husband’s job. Having Tummy Tuneup, Activated Charcoal, Essential Oils, and Vitamin D on hand helped kept me from getting sick too, and we were able to get home quickly and recover. Here are the strategies and items that I consider absolutely crucial in my family’s travel arsenal. When I get to our hotel room, I immediately plug in our diffuser. Optimally, I can add Eucalyptus Essential Oil and Bandito Blend into the Breeze and then we can go out for a couple of hours, giving the essential oils time to do their disinfecting jobs. But, since I have littles, I will usually turn instead to a child-friendly combination of Lemon, Spearmint, Tangerine and Thyme to diffuse. Those oils are less irritating to their little systems but still are effective at going after bacteria. I always bring a small travel size spray bottle. 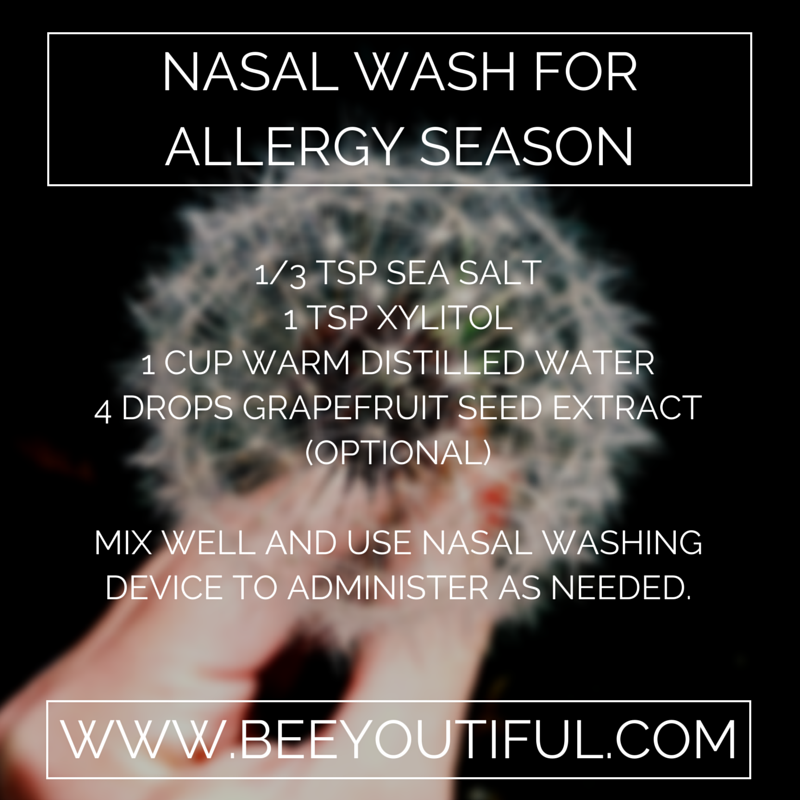 When I arrive, I add several drops of Spearmint, Thyme and Tangerine Essential Oils and then fill with water. I use this to wash down all the surfaces in the hotel. You can also pull down the beds and spray the mattresses, if necessary; just spray lightly and then allow to air dry. That, combined with diffusing into the air, will cleanse the room of the majority of potential threats. Before we go out in crowds, we prevent, prevent, prevent! If it’s summer, I usually skip the Vitamin D. But if it’s winter or we already seem a bit unwell, we dose up with Cod Liver Oil for extra Vitamin A and D. A dose of an elderberry syrup is next. And finally, we never travel without our probiotics! Our choice is usually Tummy Tuneup because it is easy to dose the little ones, and it’s shelf-stable so I don’t have to worry about keeping it refrigerated. In case our tummies go sour, we keep extra Tummy Tuneup, Activated Charcoal, and essential oils on hand. Our favorites are Spearmint (for anyone under 10), Peppermint, and Oregano, each well diluted in a carrier oil and massaged on the feet, lightly on the abdomen, and down the spine. We open a capsule and put Tummy Tuneup powder under the tongue. I use Charcoal to both treat and prevent the spread of upset stomachs; it’s highly absorbent and can quickly bind to toxins and move them out of the digestive system. If a nose is running, we dose up with our Berry Well and Vitamin D [LINK] and then keep a paper towel handy with a few drops of either Spearmint or Peppermint to assist in breathing. (I use Spearmint for children under ten and Peppermint for ten and over.) We also brew a big cup of Red Raspberry Leaf Tea to sip. All you need is your hotel room’s coffee maker and you are all set with hot water to make enough tea for everyone. Cuts and bruises! Busy travel days in unfamiliar environments can lead to more accidents and injuries than normal. I clean well with soapy water and then slather on some Miracle Skin Salve. For stings, bites, and sunburns, I bring along a baggie of dried Plantain (at home we often use the fresh leaves, but in urban areas it can be scarce or there is a possibility of pesticides). For fresh plantain, just chewing it up a bit and applying the crushed leaf to the sting or bites brings almost immediate relief. You do that with dried plantain as well, or you can make a poultice with hot water and the dried leaves. While these items don’t chase away every chance of sickness, they do make any downtimes on trips a lot less stressful. Have we missed any of your favorite tips or products? We would love to hear your travel tips! Sometimes it’s easy to tell the good guys from the bad guys. There are honorable citizens who keep the peace, and then there are disreputable folk who disturb it. We all support the sheriff and his posse, wearing their white Stetsons, as they head out against the black-hatted outlaws. Everyone cheers when it’s a simple matter to run the hooligans out of town, but what about when they’ve dug in so firmly, it seems they simply can’t be rooted out? Or maybe the posse is just disorganized and isn’t working together on the same strategy. What a mess! That sense of confusion and disarray is a familiar one for those of us interested in running our digestive issues, low immunity, and yeast overgrowth out of town on a rail. We’re pretty sure that improving gut health is the key, but uncertainty about how to do it is the seemingly overwhelming obstacle. There’s been a lot written about the harm done to the gut by “bad” bacteria such as Candida albicans, antibiotic use, and lifestyle stresses, and the resulting need to repair that damage in order to have a strong immune system. This post isn’t going to deal directly with the why, since that information is well documented and readily available elsewhere, and instead we will continue on with how to fight back in a strategic and coherent way, and identify the weapons that can help get the job done. First, clear out the bad guys. To get rid of yeast overgrowth, we recommend Yeast Assassin (or the Lite version, if you’re pregnant or nursing). Both contain caprylic acid, a potent antimicrobial compound that fights fungal infections such as C. albicans. Other tools, such as Garlic and other immune boosters, can assist with the eviction. The goal is to root out fungus and harmful bacteria that have colonized the gut, so that there’s a relatively clear area on which beneficial bacteria can stake their claim. Be sure to mend the fences! While you’re going to the trouble of invading the gangster’s hideout, you need to be sure you’re not allowing them to sneak back in while your back is turned. Sugar feeds yeast, so if you’re faithfully taking your Yeast Assassin while just as faithfully having your sweetened cereal for breakfast every day, you won’t make much headway. Examine your diet by keeping a food diary for a few days; you might be surprised at what’s been on your plate that is at cross purposes with your desire to heal your gut. Do your best to eliminate sugar (including artificial sweeteners and even “natural” sugars such as fruit and honey) and restrict foods that the body converts to sugar (grains and flours, alcohol, starches such as potatoes, etc.). If you already know that you have food sensitivities, allergies, or intolerances, be vigilant to stay far, far away from those foods. You may be able to welcome some items back into your diet eventually, but they will not contribute to your gut healing right now. Stick to unprocessed natural foods, with no extra flavors, dyes, preservatives, or other additives. Emphasize fresh fruit and vegetables along with healthy fats and daily cups of bone broth. If you’re able, eat fermented food with every meal (fermented/cultured vegetables, kefir, kombucha, etc.). Consider a structured program, such as the GAPS Diet. Make cleanup as gentle as possible. Those hooligans who’ve been camping out in your gut can leave behind a mess, and they can wreak a bit of havoc on their way out, too. Sometimes, as the body clears out old toxins and dead yeast, people report experiencing temporary symptoms such as headaches, skin breakouts, brain fog, or digestive upset. You may want to have some extra tools on hand to assist in the swift elimination of dead yeast and bacteria, and to minimize the sometimes-unpleasant symptoms of detox. 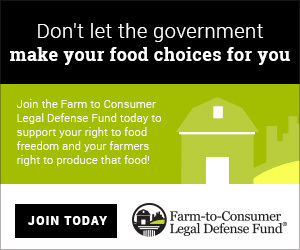 Digestive Enzymes, Silymarin Liver Support, and Activated Charcoal can all support this effort in unique ways. Post plenty of good guys as lookouts. First, you chased the bad guys away, and then you fixed up the hideout so that it’s not a welcoming place for them to come back. Now it’s time to install some good guys in that place, good guys who will keep it nice and neat and not cause trouble when they come into town. Keep in mind that conquering Candida is only one part of a life-long and multi-pronged strategy for reclaiming your health territory for good. It’s vitally important to remove inflammation triggers and use dietary support and lifestyle changes to support gut restoration. It is crucial to understand that the severity of Candida infestations and the damage it may have done to the body can vary widely; the protocol we suggest is generic and may not be suitable for situations that are severe or long-standing, or in light of other health issues. IMPORTANT: We aren’t medical professionals, and we don’t know the details of your unique health situation. This is intended as a general guide for adults and not as specific advice that applies to everyone! Before you make dietary or lifestyle changes, especially if you have a diagnosed condition, are pregnant or nursing, or are taking medications or other supplements, PLEASE consult with your healthcare provider to determine together what is appropriate for YOUR body. If you’re still struggling with yeast symptoms after the first month’s anti-yeast protocol, continue supplementing with Yeast Assassin for another month. Remember that lifestyle and diet changes are necessary along with appropriate supplements; clearing out a yeast overgrowth and going right back to a gut-damaging diet will not support long-term relief of symptoms. Educate yourself! Learn more about how yeast damages the gut, and discover how the digestive system works. 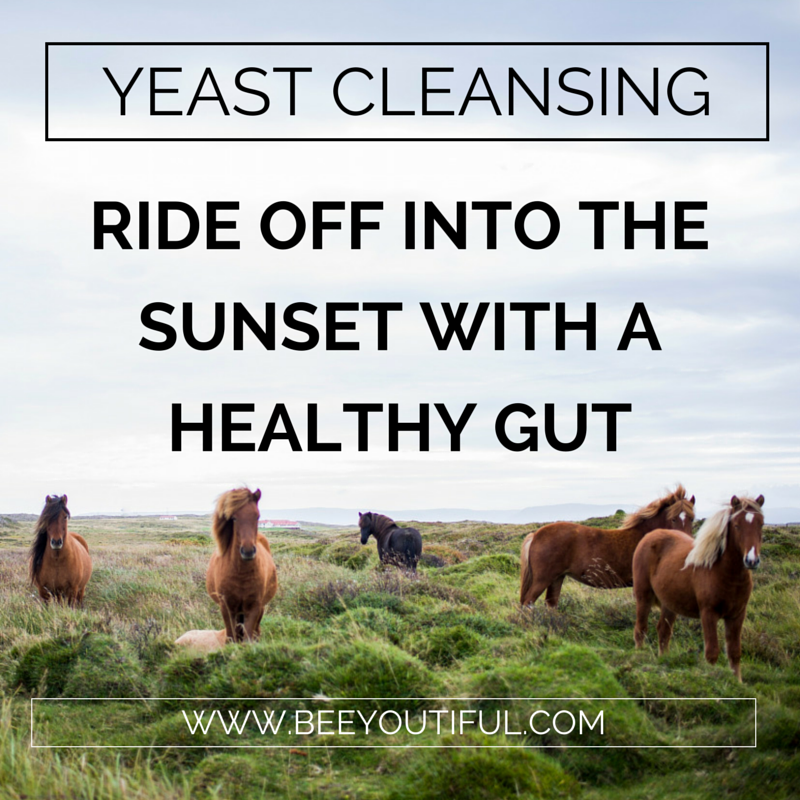 Armed with a strategic plan and the right weapons, you can send yeast and bad bacteria packing so you can bask in the warm glow of good gut health. We’d love to hear your story; get in touch with your questions and ideas, or to share your favorite tools and recipes. Happy trails! You knew we’d come through with more than we promised, didn’t you? 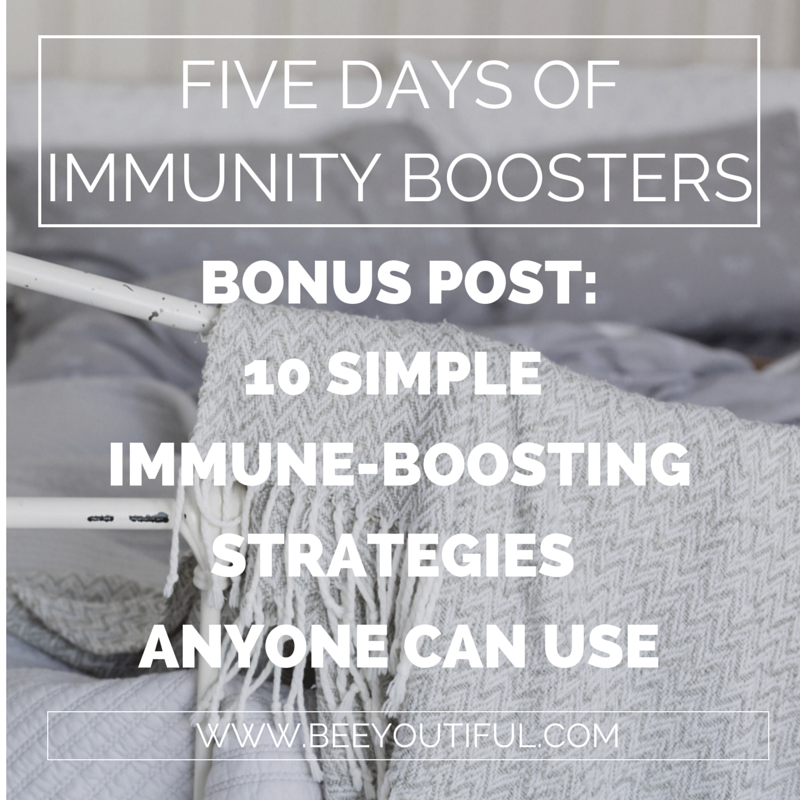 Here’s a BONUS POST in our Five Days of Immunity Boosters. Let us know which of the strategies discussed this week is your favorite! 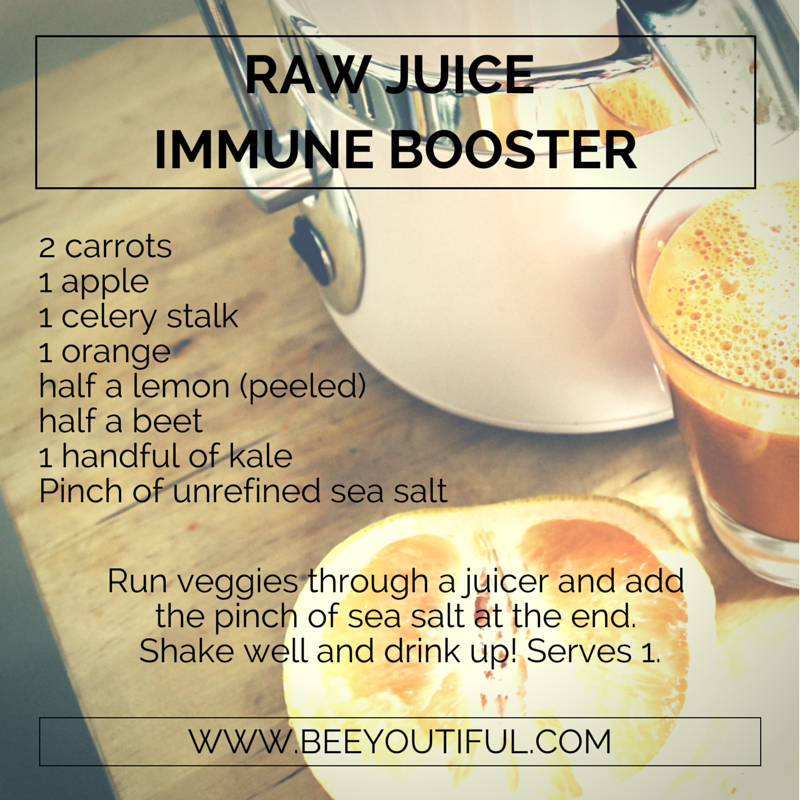 The key to staying strong is a healthy immune system. These ten suggestions are the protocols that many of us at Beeyoutiful use to guard our own families against viruses, colds, and flu. We are not doctors and thus cannot diagnose or prescribe for your specific health situation. If at anytime you or a loved one becomes ill, please seek appropriate medical attention. 1. Eat plenty of cruciferous vegetables. We’re talking about 5-7 servings per day. Consider serving things like cole slaw (especially if you can sneak in a little probiotic-rich yogurt and honey), steamed cabbage, and sautéed onions and brussels sprouts. Adding garlic or fresh herbs to these dishes will not only enhance the flavors, but will also add a small antiviral boost. Cruciferous veggies contain glucosinolates which directly stimulate the thymus. Your thymus is the control center for your immune system, so supporting and nourishing the thymus is very important for maintaining a healthy stasis. 2. Supplement with thymus and immune system-supporting nutrients. The following are some favorites used by our Beeyoutiful families. We tend to pick and choose between all of these options and rotate among them based on individual needs and specific immune system vulnerabilities. Berry Well Syrups: Supports and nourishes the thymus gland and helps support the immune system in specific ways that makes it particularly beneficial in protecting against viruses. In addition, the elderberry provides terrific symptom relief by decreasing congestion. 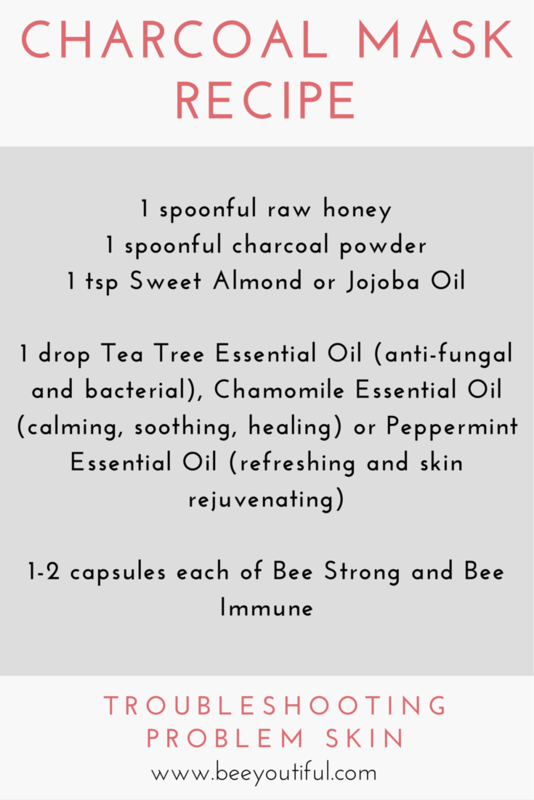 Immune Boosting Supplements (Bee Immune, Ultra Immune and Colostrum Transfer Factor): You can take these in conjunction with each other, but we rotate them on and off while doing illness prevention protocols. Since up to 80% of our immune system resides in the extensive intestinal tract we refer to as the gut, also using high-quality probiotic support makes sense. We rotate between Tummy Tuneup and Ultimate Defense. Key Nutrients: Make sure you are taking in or supplementing with Zinc, Selenium, Potassium, and Calcium and Magnesium. 3. Vitamin D3 and Omega 3: There was a reason our grandmothers reached for the Cod Liver Oil bottle with each sniffle! It works to specifically support the parts of the immune system that effectively fight off viruses, and it’s also beneficial in reducing inflammation. You can either take these separately, or combined in Cod Liver Oil. Cook your foods with coconut oil and eat a diet rich in safe, wild-caught fish as well. 4. Vitamin C: We have seen significant benefits from Vitamin C with lung-related ailments; eating your Vitamin C-rich vegetables or supplementing will help decrease mucus and increase lung health. Rosehip C is specifically good because it also directly supports the thymus gland to operate optimally. 5. Bone Broth: Keep those bones a-simmering! Add in a few herbs such as Rosemary, Thyme, Sage and Garlic. Don’t forget the veggies too! This is a great way to get key vitamins and minerals. Some of our little ones really enjoy sipping warm cups of nicely flavored bone broth. For some of the others we hide it as a base in soups, rice and noodles. 6. Bottoms Up: Take in fresh juices regularly. Here’s a favorite recipe. 7. Get some clean air! Enjoy some fresh sunshine and a few minutes of daily exercise. Using a personal rebounder is a great way to stimulate the lymphatic system which operates as the central highway system for the body’s immune system. It’s vitally important to keep it cleared out and working optimally in order to maintain healthy immune support. Bonus: rebounding also gets your exercise in at the same time! 8. Detox Baths: At least once a week, take a bath using a detoxifying agent (such as Eucalyptus Bath Salts, Epsom Salts, or Baking Soda). 9. Chest Poultices: These can be used weekly even when healthy, or as needed after being sick. Garlic, Lobelia, Chamomile, or Mullein are all great choices for chest poultices. Click here to see Steph’s 8-minute tutorial video on how to do a garlic poultice. Remember, we’re not doctors and thus cannot diagnose or prescribe for your specific health situation, but we hope some of these tips will help keep you and your family strong and healthy through the winter. If at anytime you or a loved one becomes ill, please seek appropriate medical attention.